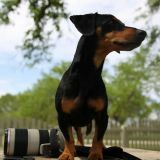 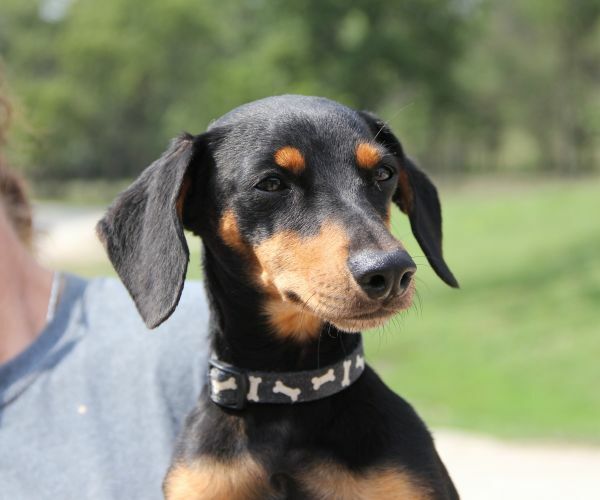 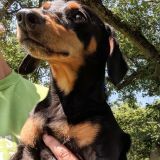 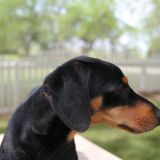 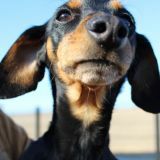 HOMEWARD BOUND - ADOPTED - now living h apply in Topeka, KS! 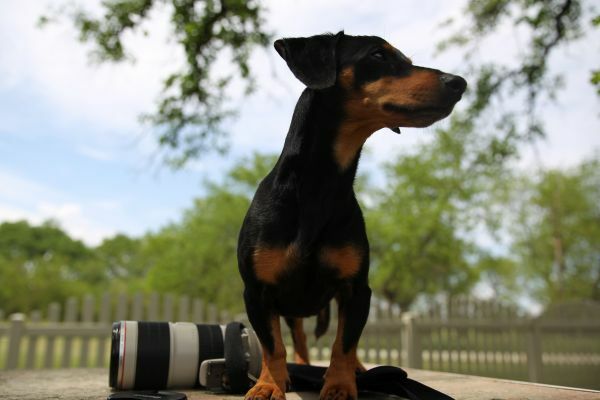 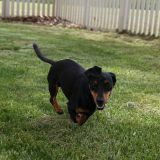 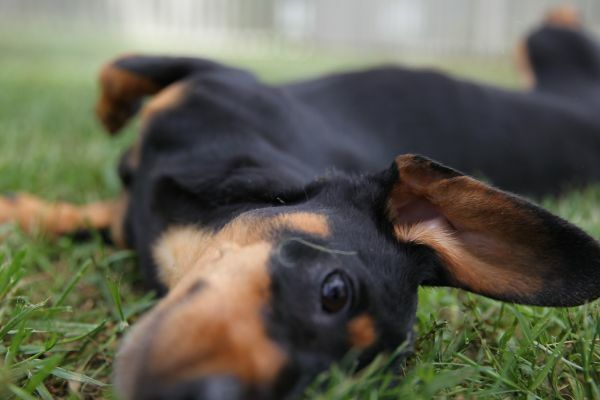 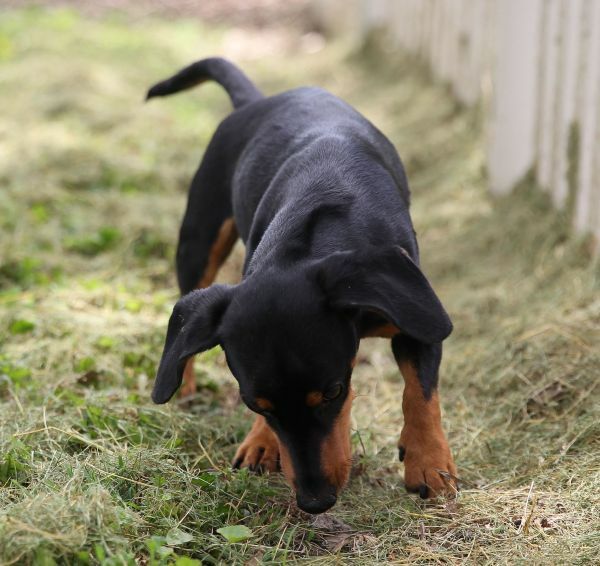 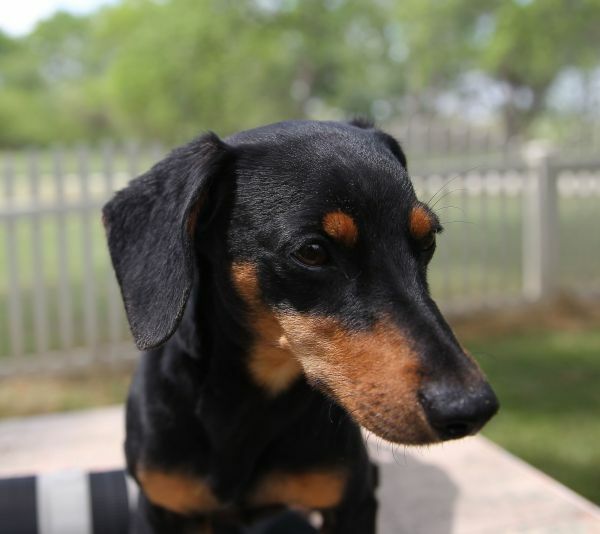 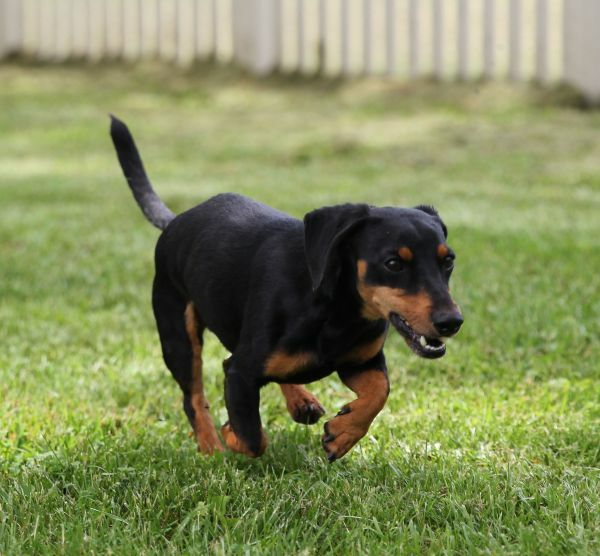 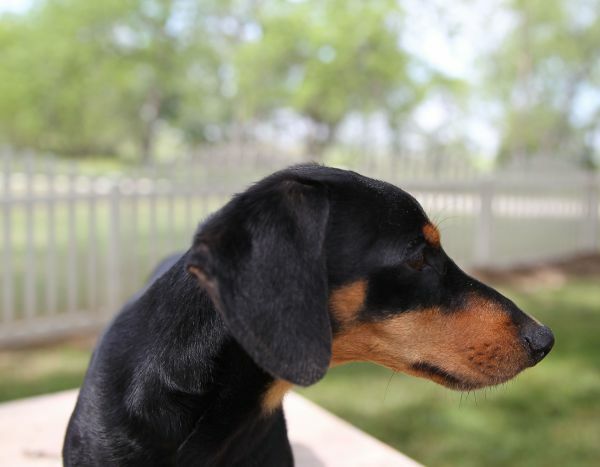 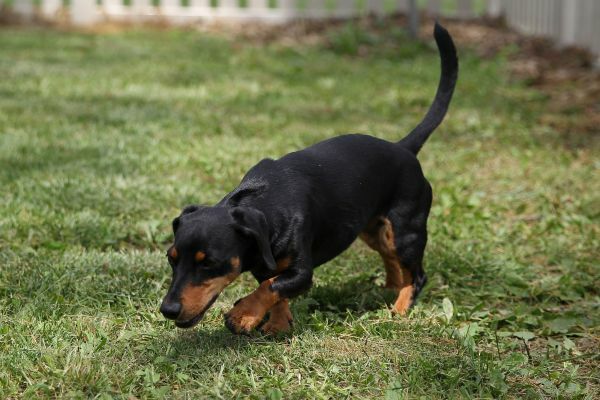 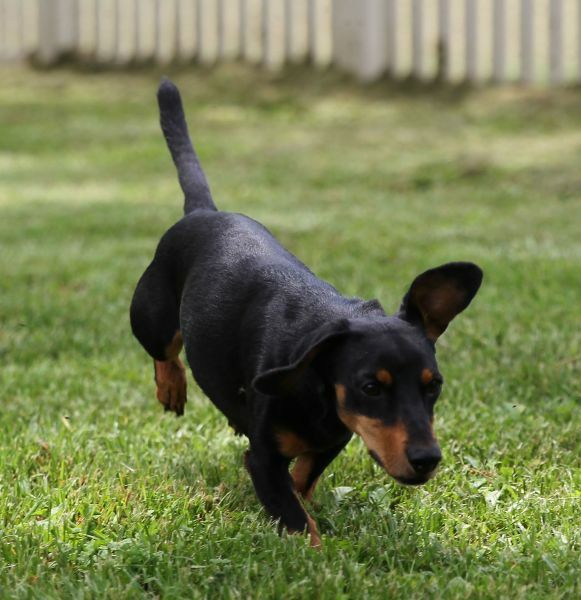 This darling little Dachshund lost his home when his people opened an in-home daycare. 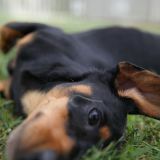 Lots of noisy children completely stressed him out and Aiden was very unhappy with his new situation. 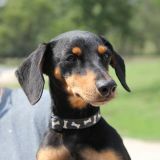 At the HUA shelter he is such a good boy. 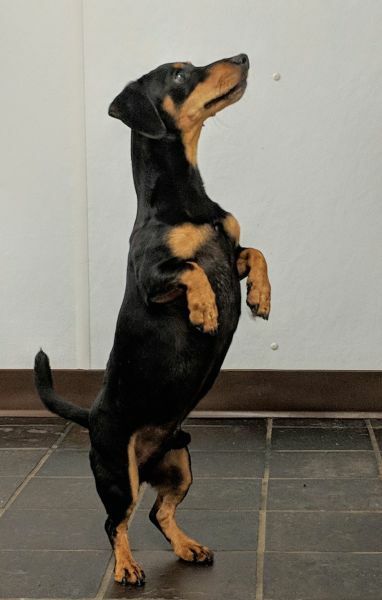 He is very tuned in to people and loves attention. 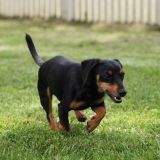 Toys are a big deal to him and he is often seen toting about one stuffed friend or another, happy to have a quiet pal. 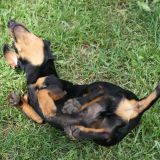 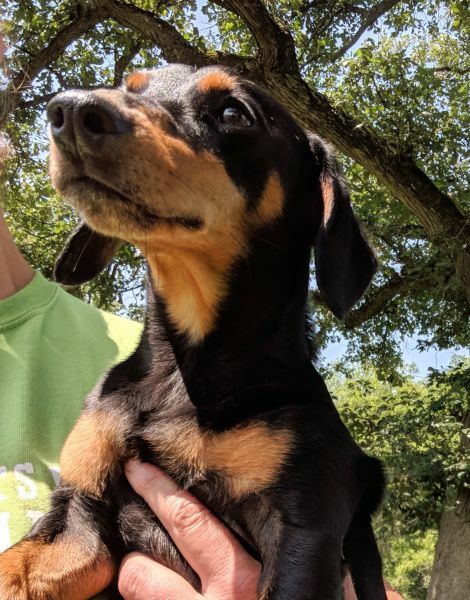 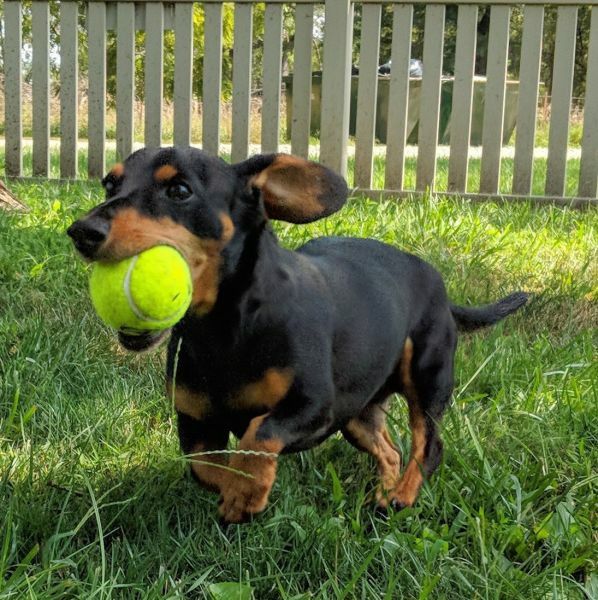 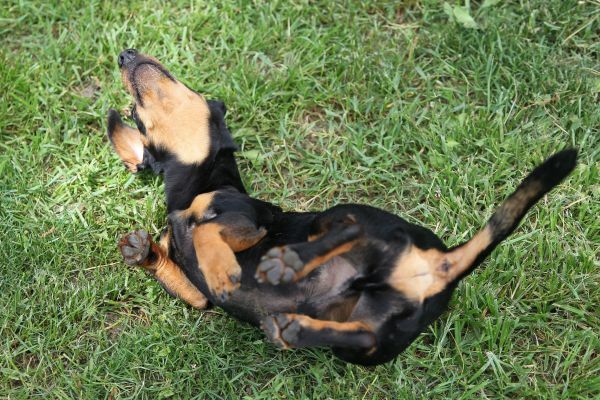 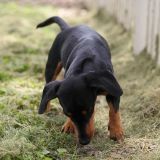 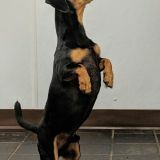 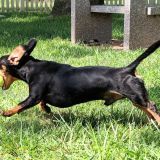 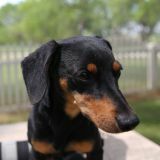 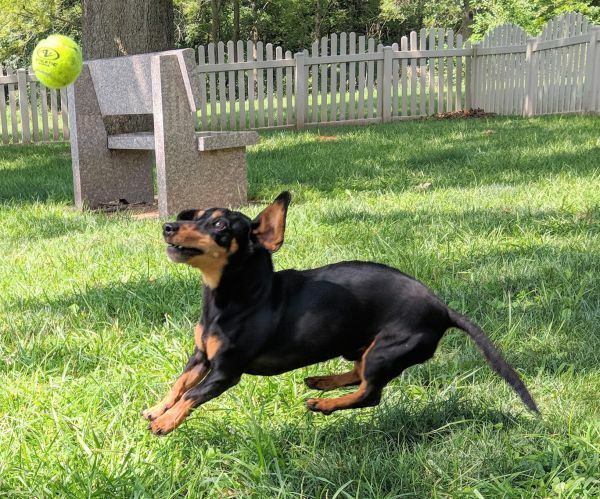 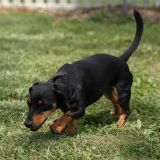 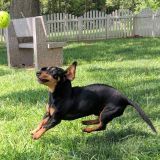 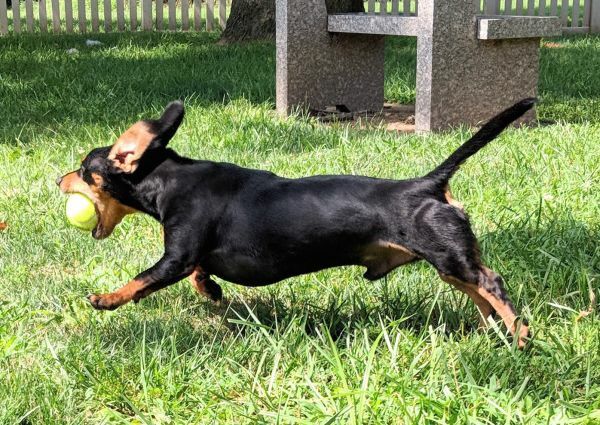 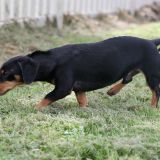 As Dachshunds tend to be, Aiden can be a bit stubborn and will go with the flow only when he wants to. Humans were in stitches when he was unceremoniously thrown out of obedience class for trying to take down the big dogs. 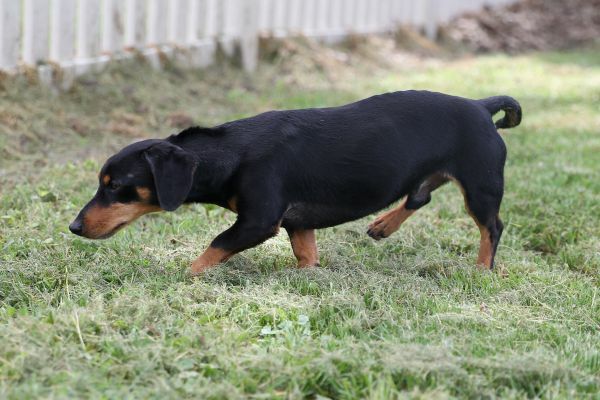 He does like other small dogs, however, and he has lived in harmony with cats. 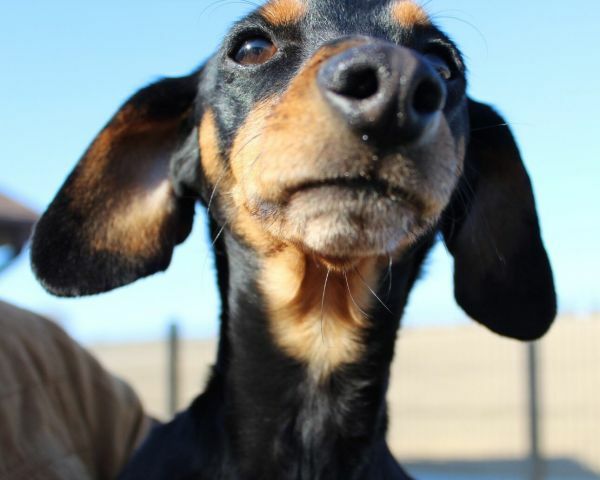 Due to past circumstances, Aiden would prefer a home with no small children. 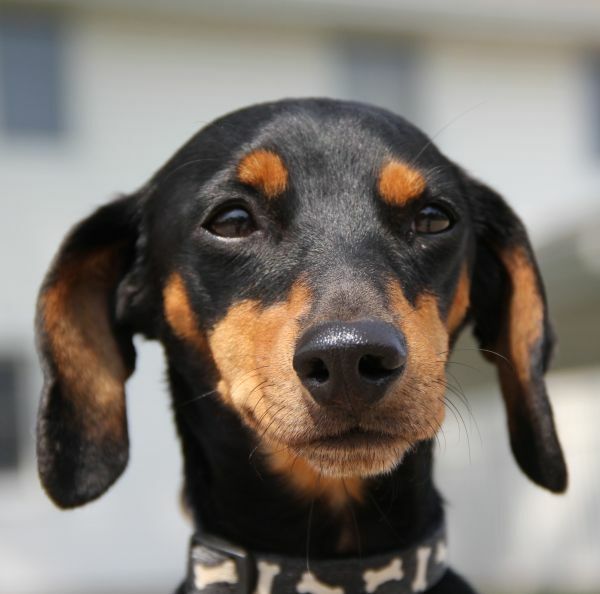 He promises to entertain and adore his new family forevermore.